You manhandle that log in your own and roll it down the mighty Fraser River. I’ve never been a huge fan of that fuzzy nursery log story where the little bloated larvae and evanescent fungi umbrellas gorge themselves on decomposing organic matter. How dainty. Ticket me not, nature-police. I’m just getting to my more significant point. Don’t leave that log to rot and turn into the love bed for bad habits that will eventually stench up your life. Cut it up, cry when you do it, and you’ll feel so. much. better. I was actually so excited to make this recipe which I’ve been dreaming up for a while. 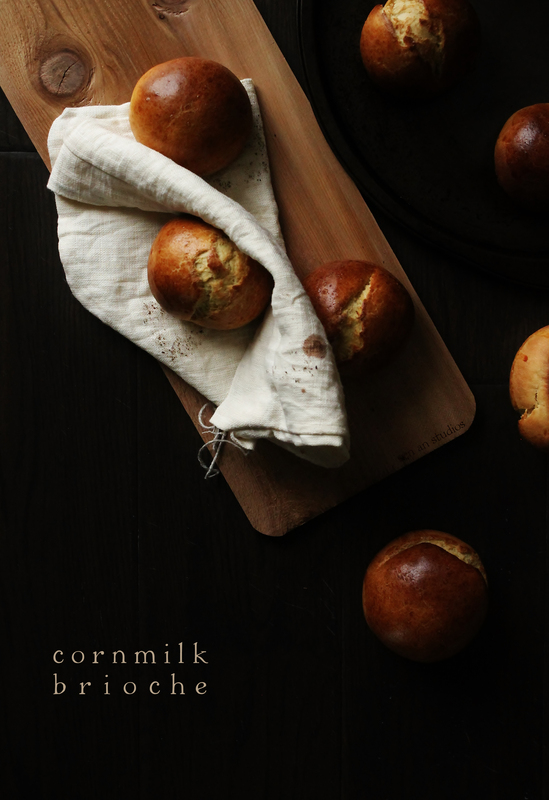 It’s a little bit sweet from the corn and I find that it also adds a very nice, buttery color to the dough. The best part of this is that they’re super quick! If you get everything organized, you can definitely pull these off within the hour, plus, clean-up’s a breeze as there’s no excess flour required for dusting. Wait, I lied, the best part is how luscious and silky the dough is. Umm, I take that back, it has to be how beautiful they look coming out of the oven…or maybe the fact that they’re about to get topped with buttermilk fried chicken, maple syrup, grainy mustard, and butter lettuce. Bottom line, these are pretty delicious – even all by themselves. To make the cornmilk, place the corn and water in a blender and blend until completely smooth. Set aside. Put the flour in the bowl of a stand mixer and make a well in the center. Add the egg, butter, and honey into the center of the well then pour in the corn milk. Sprinkle over yeast and let the mixture stand for 5-10 minutes (depending on how warm the room is) until a foamy “skin” has formed at the top. Add the salt and mix using the paddle attachment until incorporated. Switch to the dough hook and knead at low speed for 10~15 minutes. Add more flour, a tablespoon at a time just until the dough is able to clean the sides of the bowl. 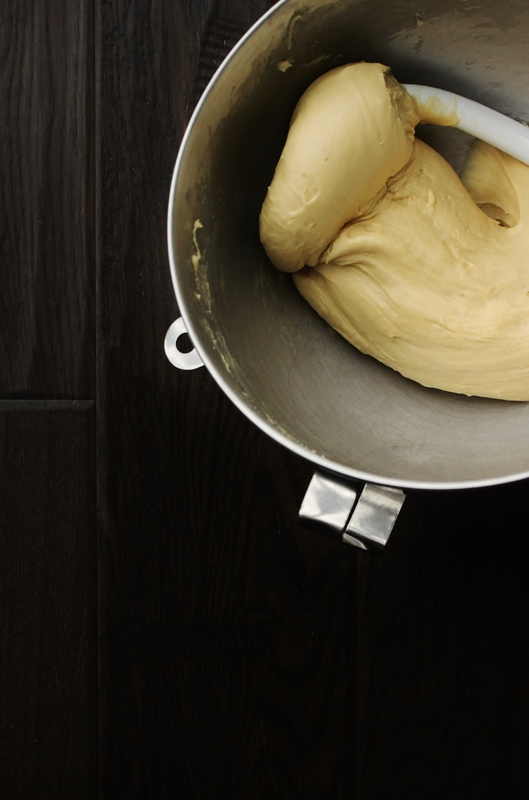 When finished, the dough should be extremely smooth and elastic. You should be able to stretch it 2 arms length without breaking. Preheat the oven to 400 degrees F, with the rack placed in the center of the oven. Divide the dough into 8-12 equally sized portions and fold each into a ball, and place them on a baking sheet, spaced 2 inches apart. You may want to cover the resting dough with a damp cloth so it doesn’t lose moisture. Let the formed dough rest for 15~20 minutes or until almost doubled in size. Mix together the yolk with 1 tbsp water and brush the tops of the dough balls with this mixture. Bake for 12 minutes. Then switch to broil to give them a glorious dark amber finish.